The social and political conditions have made poverty worse. India has the tallest statue in the world. It is 182 metres high, sculpted by an Indian and erected with the help of Chinese manufacturers and workers. Its estimated cost is Rs 3,000 crore and, contrary to the myth of State funding, it was paid for, almost entirely, by central public sector enterprises. 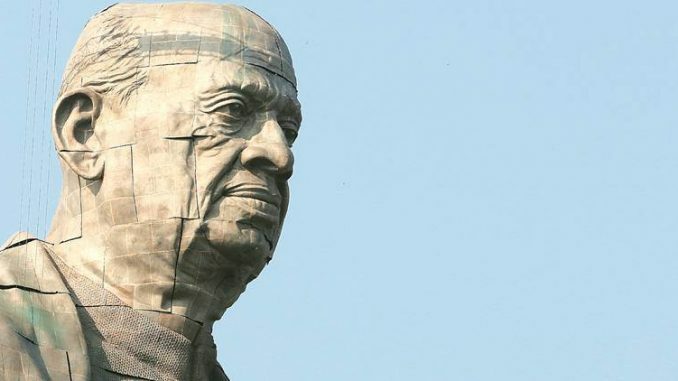 I am happy because the statue is of Sardar Vallabhbhai Patel, a lieutenant of Mahatma Gandhi, a life-long Congressman and companion of Jawaharlal Nehru, and a fiercely patriotic, secular and conservative nationalist. As long as he lived, he did not forgive the fanatics who killed Mahatma Gandhi (as home minister he had banned the RSS for 17 months), but both the RSS and the BJP have found it expedient to forget that chapter of history. We may take a moment to celebrate. After that moment has passed, we must turn to more mundane matters. * In the Global Hunger Index, India’s place is 103, denoting severe hunger. Sixteen countries have higher (meaning worse) ranks. * In the Gender Inequality Index, India’s rank is 125 out of 188 countries. * In the Index of Economic Freedom, India occupies rank 130 out of 180 countries. * In the Human Development Index, the rank is 130 out of 189 countries. India is in the bottom third. * In the Freedom of Press Index, the rank is 138 on a descending scale of 180 countries. * In per capita GDP, India’s rank is 140, also in the bottom third of 188 countries. * In the Education Index, it is worse: 145 out of 191. We can take satisfaction that India has not reached the ‘height’ of 182 in any index constructed after a survey of a maximum of 191 countries. However, ranks of 103, 125, 130, 138, 140 and 145 are not such that they can be dismissed in a cavalier manner by citing dubious statistics. What do these ranks tell us? That the high rate of growth and considerable economic progress achieved by the country have not put an end to the abject poverty of a significant proportion of the population. We can debate the size of that proportion, but even at 20%, it means that 250 million have been left behind. While poverty cuts across race, religion and caste, it is an undeniable fact that most of the 250 million of the very poor are Dalits, Scheduled Tribes, most backward classes, minorities and the disabled. The social and political conditions have made poverty worse. We should be worried about the quality of school infrastructure, teachers and instruction. We face an acute shortage of doctors, nurses, para-medics and medical technicians. Despite liberalisation, there are still too many controls, and regulators have morphed into controllers. The heavy hand of government — through intrusive rules, high tax rates, rent seeking, and punitive powers to inspectors and investigators — has stifled enterprise. Gender inequality deprives women of opportunities and depresses economic growth. Fear rules the media world. These ills were always present but, instead of the social and political environment becoming better and freer, the last four years have seen rising intolerance, growing impunity, mob violence and the spread of hate and fear — and the government as a spectator. The biggest disappointment has been the functioning — or the non-functioning — of Parliament and the legislatures. The Executive has treated Parliament with disdain. As a result, executive excesses as well executive inaction abound. The Courts have stepped into the legislative-administrative void and vastly expanded the authority of the judiciary. There seems to be less faith in an open economy and well-regulated markets. In my view, the needle of liberalisation has been moved back to 3 o’clock and may well be moved back to 12 o’clock. The loser will be the economy and, ultimately, those who were left behind will remain far behind. One statistic is telling: the average monthly household income in the country is Rs 16,480. Imagine the poverty and the hardships of families which are below or far below the average. There is an old debate about who should have the first claim on the resources of the government. Claims have been made on the basis of religion or caste or gender or disability. In my view, none of them is relevant. The first claim on the resources of the government belongs to the 20% of the population that has been left behind. Poverty, as we understand it in the normal sense, is income poverty; however, that income poverty leads to other deprivations — of food, housing, water, sanitation, employment, quality education and healthcare, etc. Further, as long as the bottom 20% of the people do not have an adequate income, they will remain victims of the hostile social and political environment. Hence, we must re-imagine governance, re-write the principles of Budget-making and replace the model and the machinery through which governments deliver on their programmes. The ‘left behind’ people have become thoroughly disillusioned by the misgovernance of the last four years and are bewildered by the new promises that seem to be in the making — building grand temples, re-naming cities and rolling out more yojanas that are inadequately funded. The test of any promise is if it will make a difference to the lives of those who are at the bottom of the pyramid.